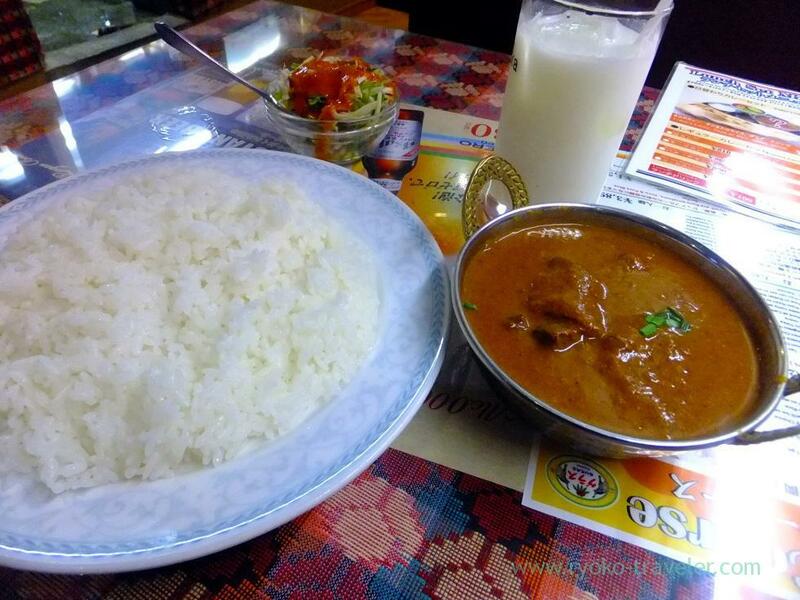 “Grass” is Indian and Nepalease foods restaurant and they have some branches mainly in Chuo-ku area in Tokyo. I visited one of the branch. Grass Tsukishima branch. There used to be ramen shop and I visited there frequently for years ago. Staff distribute flyers to lure more customers during past 1 p.m. because they don’t have much guests after 1 p.m. Much less around 2 p.m.
There’re not many people walking alog the street in front of the shop. But they are open until 3 p.m.
Indian foods restaurants mostly are open longer at lunchtime. It’s good for me because I always have late lunch. As well as weekdays, they have same lunch menus on weekends. They have tables having four seats mainly. Smoking is not permitted. 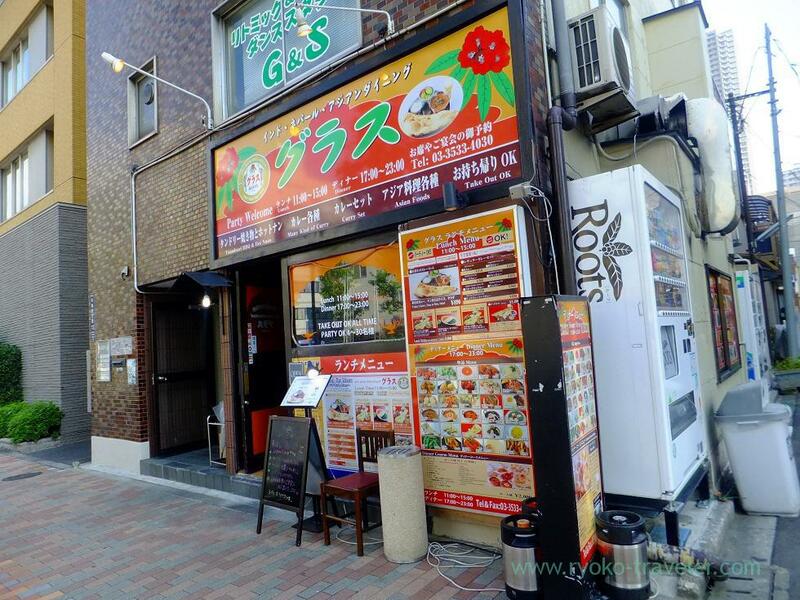 They are located along big Kiyosumi street. On your way to Kachidoki station from Tsukishima station. They have 8 curries at lunchtime. Also we can choose level of curry from three levels. Not spicy, normal, spicy. 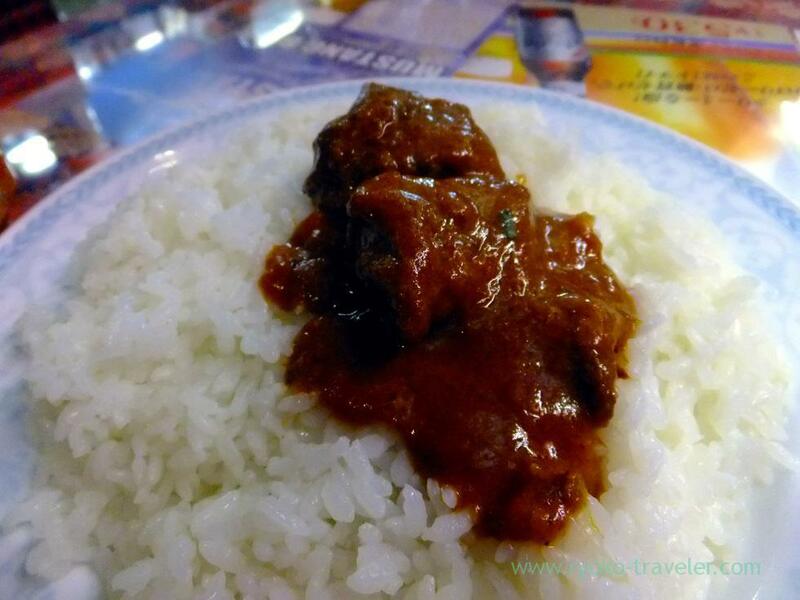 I ordered lamb meat curry (860 yen) and chose lassie and rice. Free refills of Naan and rice. But I couldn’t do because rice was tooooo large ! I think many people don’t need second helping. This rice is… as you see. three times as many as normal amount…. Also much curry is served. There were much lamb meat. It cost me only 860 yen. So, I think it’s valuable. You’d better order your rice with small portion if you can’t eat much as well as me. There are some Indian foods restaurant that serve curry at lunchtime in this area, I think this is No.1. Dinner menu looks good, too. I want to eat momo ! I’ll try it at dinner time. Though you can’t reserve in advance at lunchtime, dinner time is OK.
Open / 11 a.m. – 3 p.m., 5 p.m. – 11 p.m.
indian food are underrated. they are so good! 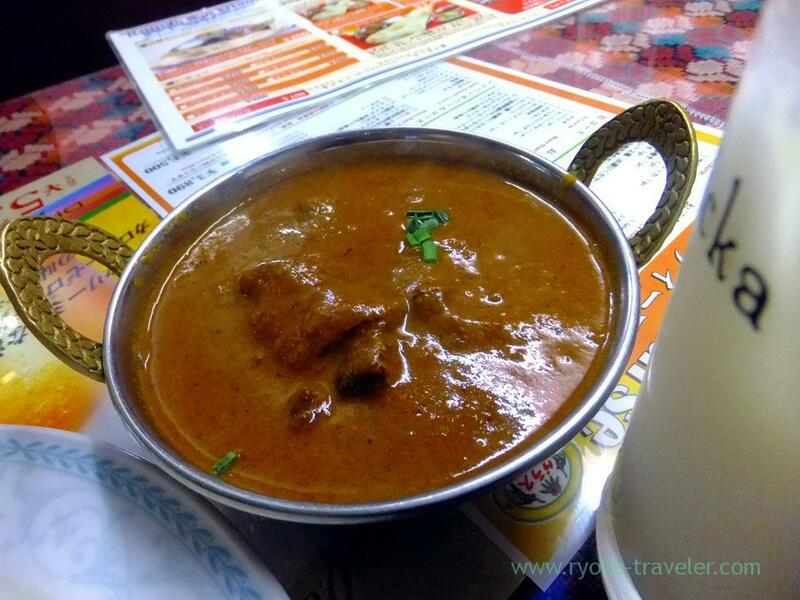 Indian food is so popular in Japan. But certainly they are often regarded as junk foods. I’m really sad.